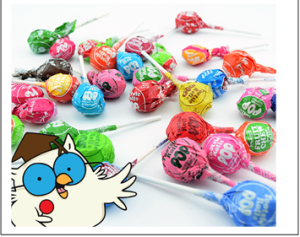 Since Mr. Owl first dared to unravel one of the confectionary world’s most puzzling secrets in the classic 1970s TV commercial, dedicated Tootsie Pop fans everywhere have tried to provide a definitive answer. Many have attempted, and fail ed, to lick their way to the center of the Tootsie Pop. My best attempt was in the mid thirties before I gave in. Crunch! The temptation to bite and reach the embedded Tootsie Roll prize has proven too great… just like it was for Mr. Owl. But a more vitally important topic is how many “Clicks” does it take to compromise your computer security? That number is easily calculated… The answer is ONE, just a single click can launch a whirlwind of trouble for us you. Many security testers note that most users will fall for an email attack quite easily. These email attacks, called phishing, typically look legit but will send a user into an electronic nightmare. Some never know they were victims, until they were completely overcome by evildoers. A ransomware attack that will render your file unrecoverable. Let’s set the bar high in our personal security postures. Don’t click on any links in emails, even if you think it is from a trustworthy source. It’s not worth the trouble, pain, or expense.